Last week, a football player’s name and a popular term began trending in social media at an almost astronomical rate. The name was Manti Te’o and the term was “catfishing.” Apparently, MTV’s hit show, Catfish, helps online daters, who suspect that their mate isn’t exactly who they say they are, find out who they are dating for sure. And, Manti Te’o is a very prominent example of the humiliating effects of the newly chronicled “catfishing” hoax. This is when someone presents an online persona which is false or otherwise untrue. When I first heard about Mr. Te’o, I immediately felt bad for the dude. Apparently, another guy who attended his high school and played on his football team concocted an elaborate hoax to convince Te’o that he had found an online lover. Te’o, smitten with this young lady, thought he was in a serious relationship for over a year. Then, the love of his life, named Lennay Kekua, was in a car accident, recovered, then became ill with cancer and passed away (or so he thought). A few months later, Kekua called Te’o explaining why she had faked her death. This was the point when Te’o alerted his coaching staff and assisted in rooting out the hoax for what it was. Doesn’t that make you feel terrible for the guy? Not only that, the day Kekua supposedly died was the day after Te’o’s (real life) grandmother passed away. The elaborate hoax was not only shameful but it involved a web of sophisticated maneuvers to leave Te’o in the dark about the true identity of his mate. In an interview with Katie Couric, Te’o explained that it was really embarrassment and shame that kept him from revealing his concerns about never meeting his made-up girlfriend. He said the hardest thing about the entire ordeal was the fact the he lied to his dad about having met Kekua. After finding all this out and googling the term “catfishing” to understand its meaning, I was left slightly befuddled. Apparently this type of thing happens so frequently (meaning folks pretending to be something or someone they are not and dating other folks under their assumed identity) that it needed its own term. I must say, it made me feel relieved that I was already married. But, there is a bit of concern here for me beyond that. 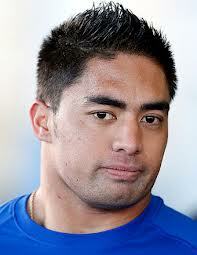 Manti Te’o is an attractive young man. He attends a very good school. He is religious and so are the people who hoaxed him. One would think that he would have absolutely no problem finding and maintaining a healthy in-person relationship. Not only that, one would believe that, if he did meet someone online, he’d have the gumption to meet her relatively quickly given his stature and potential NFL future. So what went wrong here? People meet on the internet every day. We are all plugged in at all times. But, sometimes people take advantage of that. The internet is a place where sickos have a megaphone. Anyone who pretends to be a woman when they are not or vice versa for the purposes of duping someone into loving them is truly a sicko. The online escapades and treachery involved are truly mind numbing. And, in some cases, these stories end with folks losing their life savings to these elaborate dating hoaxes. It is tragic. What lessons can we learn from Te’o’s “catfishing” experience? Well, not many that life didn’t teach us already. You know, the basics like get to know the person (in-person or visibly) before you start writing home to mom about them. Be cautious of someone who gets into a car accident, then gets cancer, dies and then resurrects from the dead before the dead part. Ask lots of questions and expect complete answers. My fear about this whole thing, as a mother of two, is that our increased reliance on social media will leave us completely inept when it comes to actual, real human interaction. Are we so bereft of social judgement that we can’t see through these scenarios before they go over the cliff? Maybe it is punch-drunk-love. Or, in the case of Te’o, just really nice people getting screwed over. I am not sure what it is. But, one thing is for certain, if I am ever in the dating game again, I want DNA…on the first date….period.